I soldered the circuit I have designed before. Soldering the circuit for Raspberry Pi was easier than soldering the circuit for the probe because there is enough space. This is the circuit after soldering. 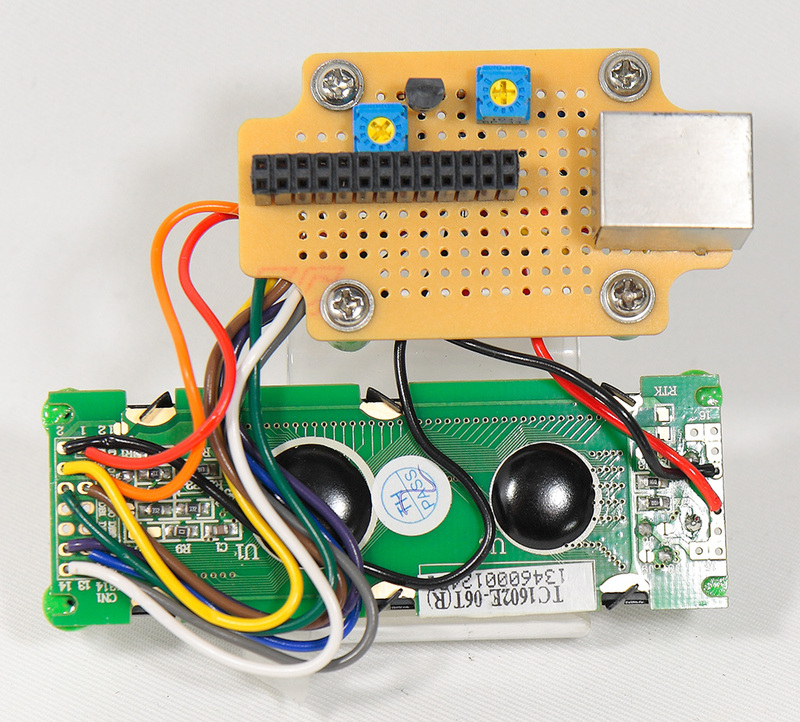 I connected the circuit right above the GPIO pins. This is another side. As you can see, the circuit can be easily detached so that I can swap them if there is a problem. 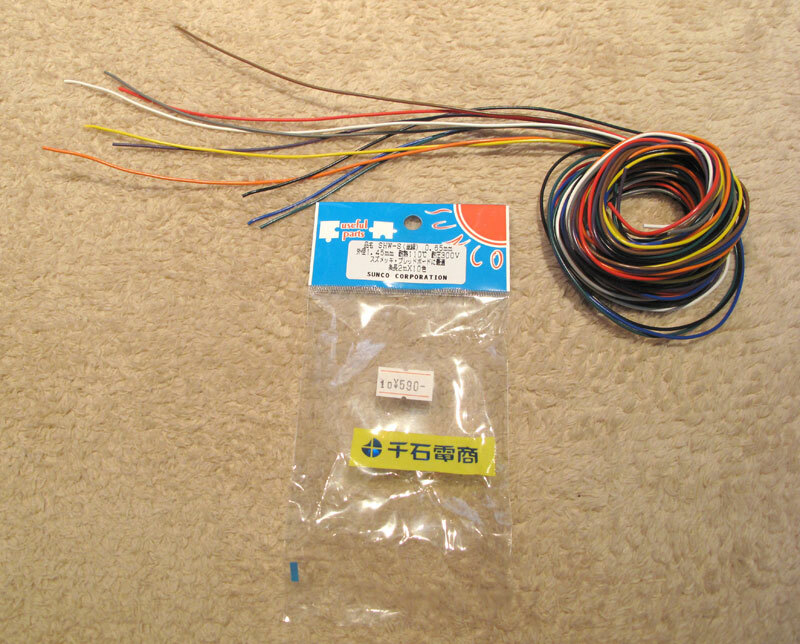 I used solid wires “SHW-S 0.65 2mx7 Colors” which were introduced before on the post “Tools I bought besides Raspberry Pi“. 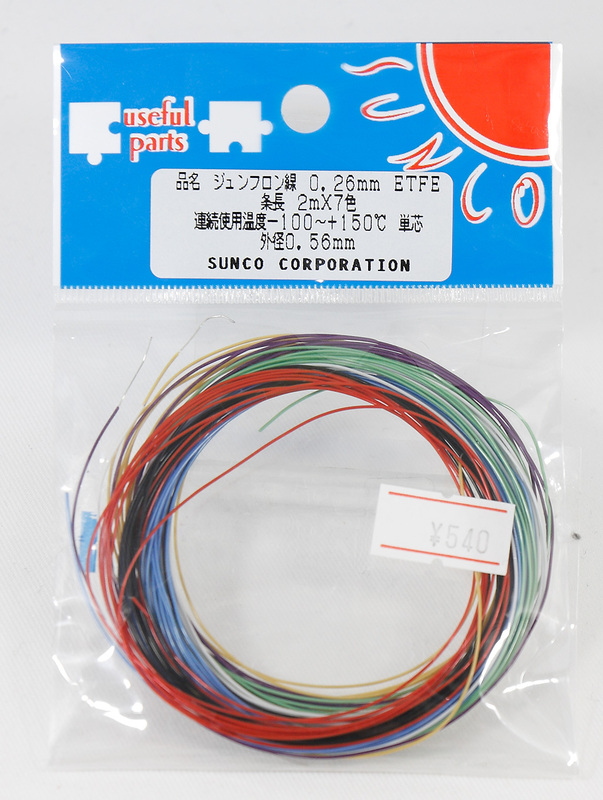 Since 2016 I use stranded wires which are 0.56mm in diameter of outside cover, and 0.26mm in diameter of inside wire. 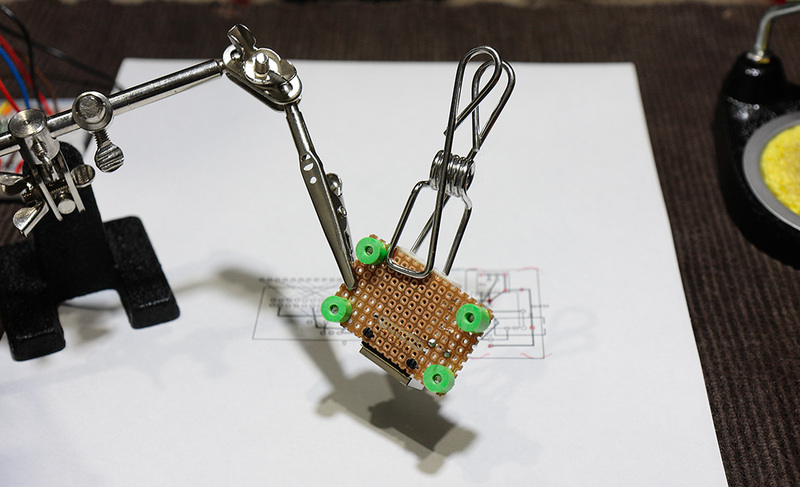 The site “Basic of Soldering” was really useful. I paid attention when I soldered the circuit for the probe because components were narrowly assigned. I printed the circuit and put them together. And then I imagined where to start soldering. 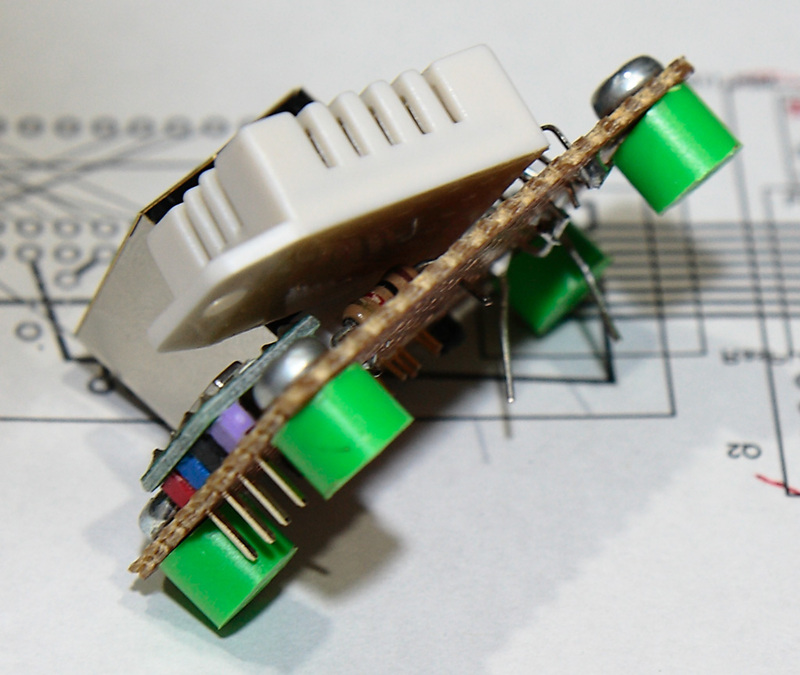 I found RHT03 covered other parts, so I soldered it at the end. I use Eiger tool clipper and clothespins. 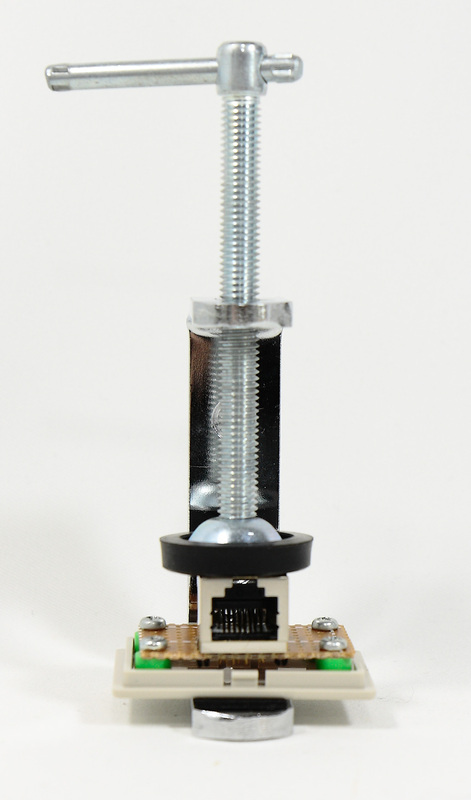 To fix the circuit board, I put spaces, applied glue, and pressed them with a vice like this. There are many brands of glue at hardware stores and it is hard to choose. If you choose a wrong one, they don’t adhere. I’m using “Cemedine Super X Hyper Wide“. Before this product, I bought a “Konishi Ultra multi-use SU“, but they didn’t adhere. The glue said that poly ethylene and poly propylene can’t adhere. ABS should be the family of those plastics, and this is why they didn’t adhere. 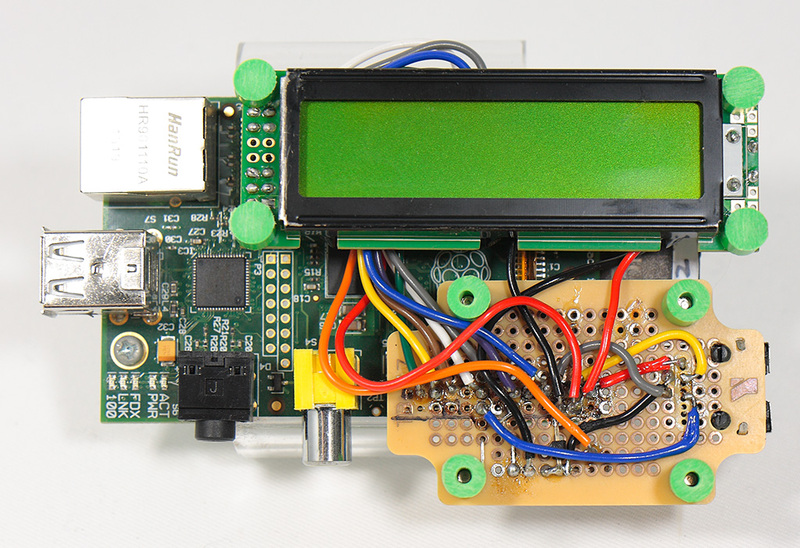 The story continues to “Weather Observation with Raspberry Pi – Vol4 Painting Metal“.